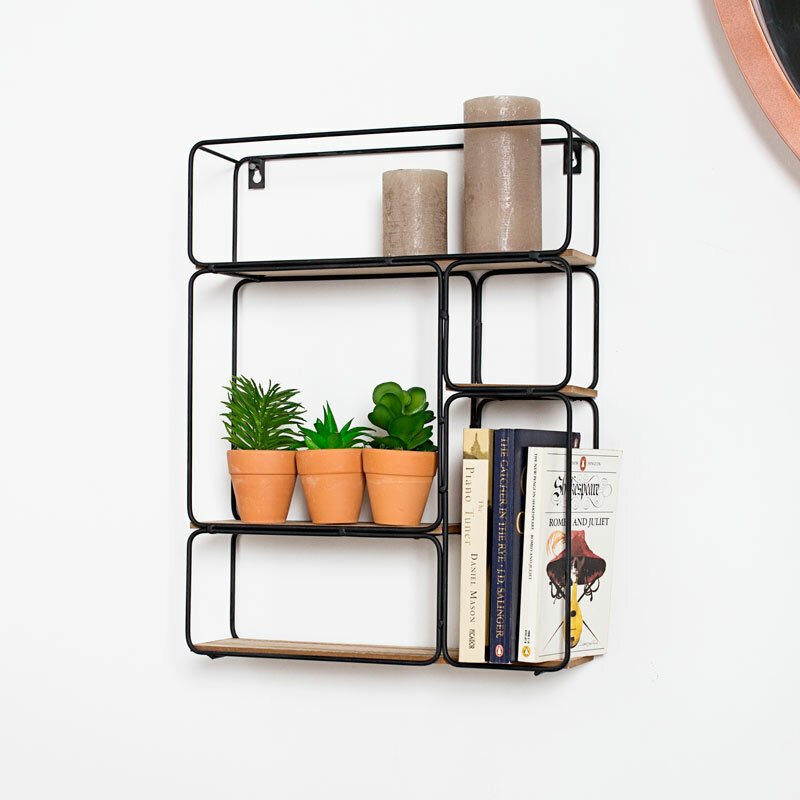 Add some retro, industrial styling to your home decor with this fantastic multi shelf wall unit. Practical and versatile, this will look great in the living room, hallway, bedroom, bathroom and kitchen. Black metal frame with natural wood shelves in a cubist design. Perfect for displaying ornaments or for a more functional use holding books. 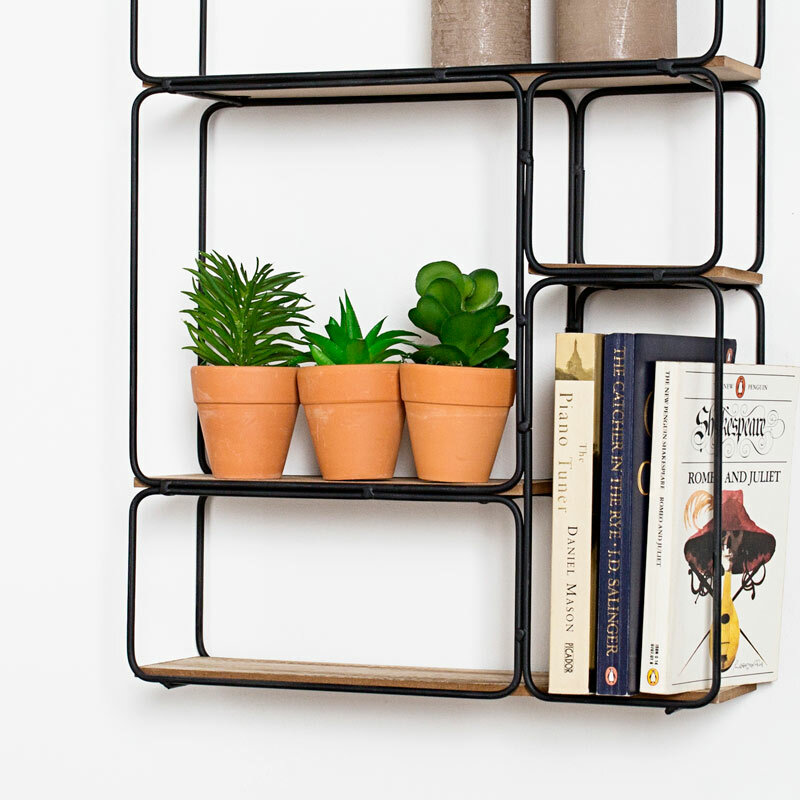 Five shelves with varying sizes in square and rectangles. This would easily suit modern, retro, industrial and loft living style interiors. This shelving unit can be used wall mounted or freestanding.